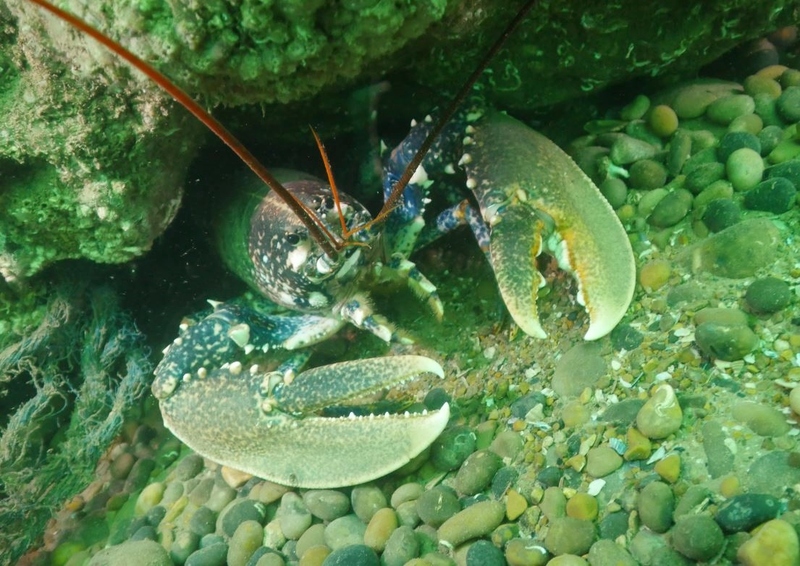 Lulworth Banks is a large area of reef with ledges that run across it making for a great habitat for both scallops, as well as various wrasse, edible and spider crabs, squat lobster and nudibranchs. A favourite with divers in search of a few scallops for tea! 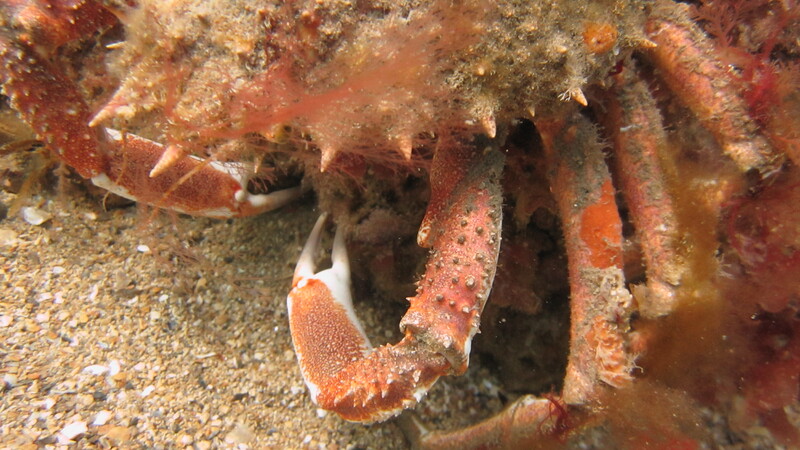 Bally Bay has a mix of rock, reef and sand, making it a great place to find all manner of critters. 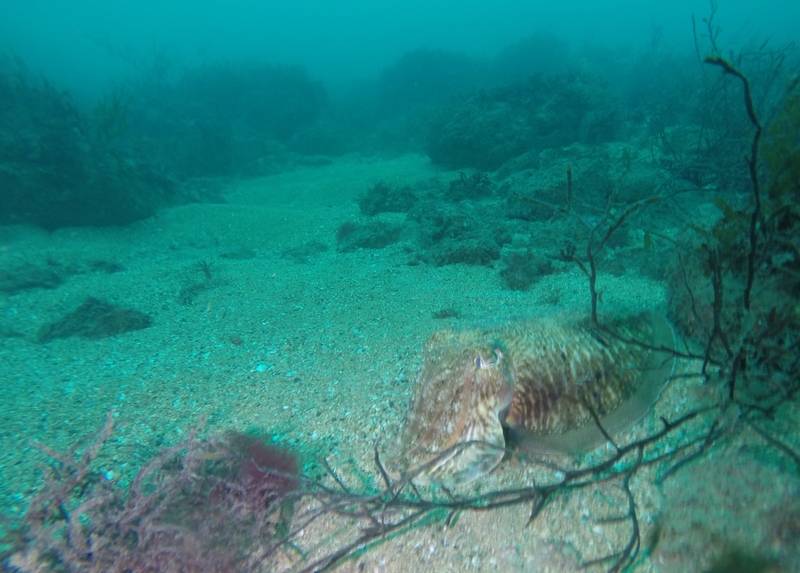 There are abundant wrasse in amongst the rocks, crabs and lobsters, sea hares, dogfish, and in the deeper areas scallops. Towards the southern end you run over a rocky ledge and then into slightly deeper water as you pass Grove Point. Aerials is an area of reef on the western side of Portland. The reef slopes fairly steeply from 10m down to around 40m so you can pick your depth as you drift along it. It great for the big wrasse, crabs and, if you’re lucky, the occasional monkfish. 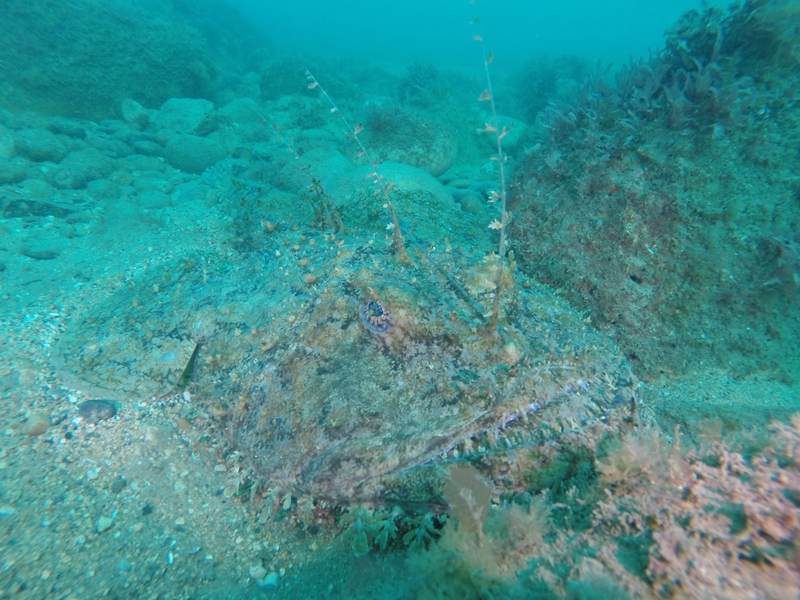 The sea off the Chesil beach is primarily shingle interspersed with area of rock and reef. It’s a great place to find rays, flatfish, cuttlefish and squid. There are so many old wrecks that have gone in on this beach that there is a fair chance you will find fragments of them too – possibly even the odd cannon.